It’s been nearly two weeks since I first submitted my novel and I haven’t heard a thing. By appearances the submission process takes a great deal of time. Almost always longer. However I selected my target partly on the basis of their shortened submission process, therefore I suspect that no response in two weeks is in effect a rejection. Therefore I have identified my next target, a literary agency with probably the best name in literature. The submission process is slightly different here. They prefer paper submissions so I will oblige. Also I must write a ‘short’ bio. Whatever exactly one of them is. 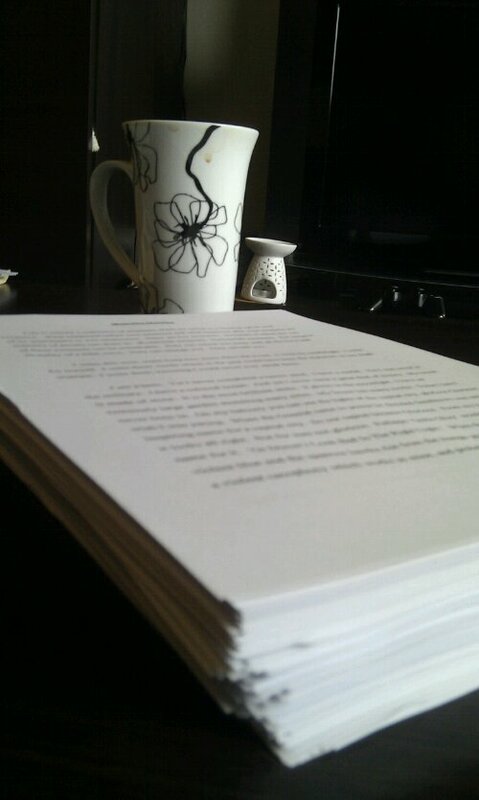 When I first decided to send off my manuscript I decided to take a mark-ably methodical approach. First I combed through a list of Literary Agencies and produced a shortlist of nine. It is my intention to work through them one by one. As I approach the end of the list I will do the same with publishing houses. I am prepared and I accept that it will be time-consuming. However I have plenty of time. In the meantime(notice how many times we use time?) I am vaguely searching for my next project. Originally I hoped to find a professional project to devote my attention to. However no such thing has been forthcoming. Now I am mulling over the idea of what comes next. My better half is encouraging me to write on. I don’t know what I should do. First of all I don’t know if I should continue. And second if I do, what should I focus on next. Something unfinished? Something new? I desperately need to make a plan. Many years ago I was diagnosed a manic-depressive. I have battled with depression my whole life. One thing which helps me get through this period is having something to obsess about. Something to focus on and devote my energies to. When I am left stewing in my own mind I can often return to a cycle of lethargy and inactivity. Already I can feel my semi-permanent insomnia creeping up on me. Whether it be the changing of the seasons or other reasons, deep down I know I need to take action soon. When I am working on something I feel something akin to electricity running through my veins. The buzz is narcotic like. The insomnia remains as I find myself ironing out various plot issues at inappropriate moments. The lethargy disappears. In part its the mental challenge of building the tale and trying to tell it in the right way. In part its the race to the finish line. When you pass half way in the journey and the end is in sight. Most of all its the feeling at the end of the journey when you hold the pages in your own hands. By trying to get my novel published I am not seeking riches, awards or fame. I am seeking validation. I have a need to prove to myself that I am good enough. In order to do that I need to find someone who believes in my story as much as I do.